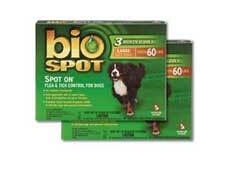 Bio Spot for Dogs Ingredients – How Does It Work? 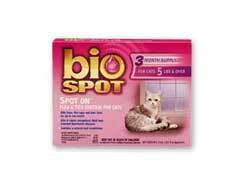 How does Bio Spot for dogs work, and why is this medication so effective? This medication includes two drugs, and each has a specific purpose. Permethrin is one active ingredient, and this is an insecticide which kills ticks and other insects. 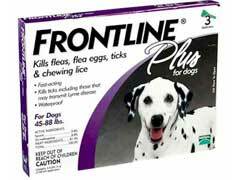 Dog flea control is achieved with the second ingredient in this medication, called S-Methoprene. 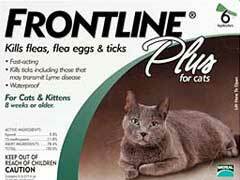 Frontline for cats is a popular choice for pet owners who want to control fleas and ticks, and treat or prevent an infestation. This medication can have a number of side effects though, and these usually appear when the medication is not administered properly or when an overdose is given to your pet. A cat fleas home remedy is usually not very effective at controlling parasites like fleas and ticks, and these remedies will not usually work for long. 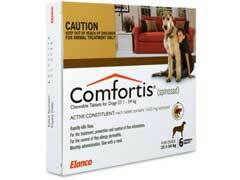 Comfortis for Dogs – Best Chewable Treatment for Fleas! Comfortis for dogs is a medication that has received FDA approval for use in dogs to kill fleas and prevent any infestation of these pests. This medication is only available with a prescription from a vet, and it works for a full month with each treatment. Unlike Frontline Plus for dogs, which is applied topically, Comfortis comes in a chewable tablet that is ingested and has a beef flavor that most dogs enjoy.